Sofia University “St. 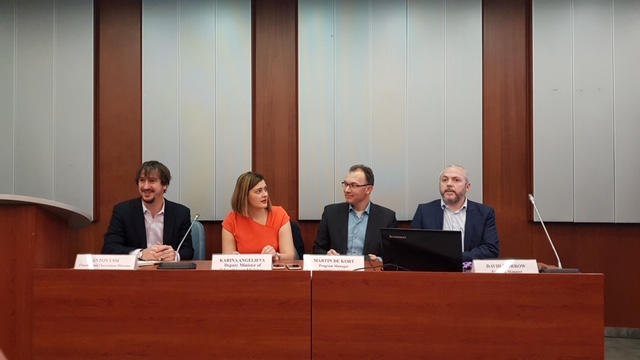 Kliment Ohridski” hosted the first partnering conference entitled “The European Research Infrastructure for Translation Medicine EATRIS-ERIC in Bulgaria “. 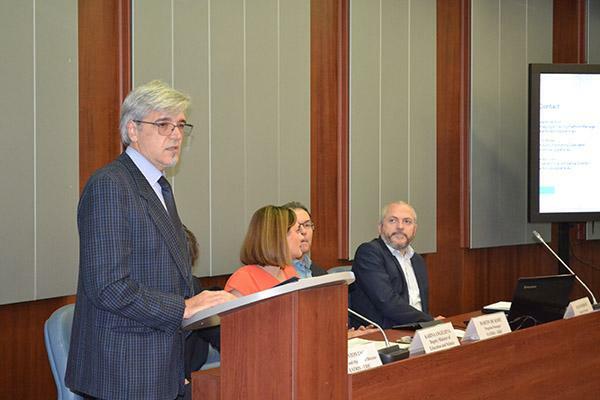 The event was co-organised by the Ministry of Education and Science and the Bulgarian representation of EATRIS-ERIC at Sofia University and dedicated to the affiliation of Bulgaria to the European infrastructure in 2018. At the partnering conference in Sofia University EATRIS-ERIC was represented by Anton Ussi (Operations & Finance Director for EATRIS), Martin de Kort and David Morrow (Programme Managers of Translational Medicine & Drug Development at EATRIS) as part of their official visit to the country. Official guests of the event were Ms Karina Angelieva – Deputy Minister of Education and Science, Ms Milena Damyanova – Director of the Science Directorate of the Ministry of Education and Science, Ms Yanita Zherkova – State Expert at the Science Directorate and Representative of Bulgaria in the Board of Governors in EATRIS, senior representatives of the academic and large scientific Community of Medical University of Plovdiv, Sofia University, Medical University of Sofia, National Center of Infectious and Parasitic Diseases, Institutes of the Bulgarian Academy of Sciences, managers and professionals of private organizations with biomedical R&D portfolio, professional and social media. Before the start of the conference, the guests were welcomed in a short meeting by Prof. Anastas Gerdjikov, Rector of Sofia University. The conference was opened by Corr. Mem. Prof. Roumen Pankov, Faculty of Biology, who welcomed the audience on behalf of Sofia University and the Bulgarian Representation of EATRIS-ERIC. Prof. Pankov pointed out that the event is under the patronage of the Ministry of Education and Science and the Sofia University “St. Kliment Ohridski “and is part of the programme dedicated to the creation of a partner structure of EATRIS-ERIC in Bulgaria. 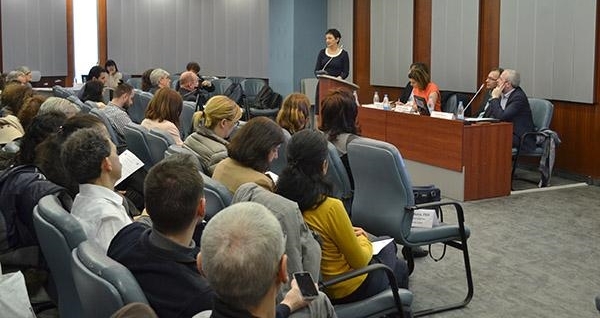 The Deputy Minister of Education and Science, Ms Karina Angelieva also welcomed the participants and talked about some of the challenges to Bulgarian science that need to be overcome. She drew attention to the conversation about the positive image of scientific research in Bulgaria. According to her, in the next programming period, Bulgaria should define thematic areas and implementation tools in support of innovations. On behalf of the Bulgarian Representation in EATRIS, a welcome note was extended by Prof Rossitsa Konakchieva from the Faculty of Biology, Sofia University, who is the National director of EATRIS-ERIC in Bulgaria. She stressed on the complex processes leading to Bulgaria’s full accession to EATRIS. In her words, Bulgarian science needs better integration at European level and with the support of EATRIS and the access to the infrastructure supported by the Bulgarian government, this is now feasible. 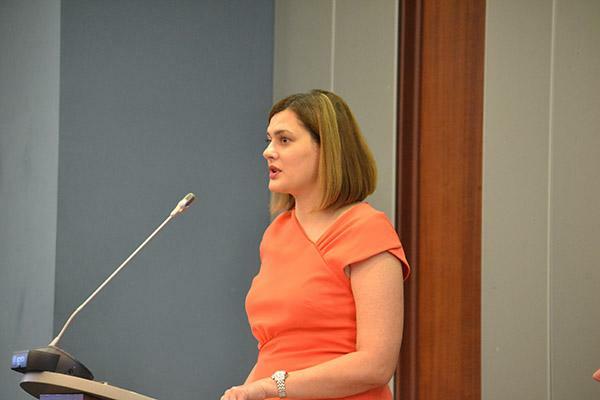 She expressed the belief that the granted access to high-end technological and scientific expertise available at EATRIS will impact enormously on the performance of academy research and help increase the effectiveness of academy – industry partnership in Bulgaria to meet social needs in the field of translational biomedical science. She invited the Bulgarian researchers to use the capacity and capabilities of the pan-European consortium. The event continued with EATRIS overview and presentation of EATRIS portfolio and scientific platforms delivered by Anton Ussi, Dr Martin de Kort and Dr David Morrow. The leading European research programmes of the consortium, projects with major pharmaceutical companies and European organisations in the field of biomedicine, interaction with other European infrastructures such as BBMRI and ECRIN were introduced.